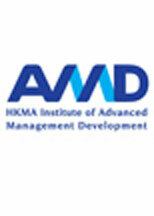 The Institute of Advanced Management Development (AMD) was established on 1 May 2015 to offer advanced management programmes for senior executive development and management consulting services with a view to making significant contribution to the growth of Hong Kong's human capital and of the economy locally and regionally. The idea of establishing AMD originates from the Institute for Advanced Study in Princeton, one of the world’s leading Centres for theoretical research and intellectual inquiry where, for example, the foundations of game theory were formed. 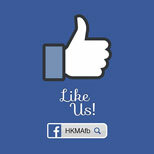 In Hong Kong, the HKUST Jockey Club Institute for Advanced Study provides a platform for innovation, scientific and economic development in Hong Kong and the Greater China region, and acts as an active participant in building a highly educated, vibrant and humane society. 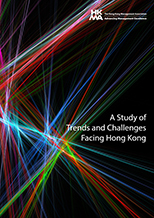 In order to successfully promote and spread the Hong Kong Management Association’s work to a higher level, there is a need to diversify our area of educational services towards a wider range of aspects such as art and cultural management, and consultancy services etc.. AMD serves as a new brand under the HKMA in running some high profile training and education activities, and to serve senior members such as those in the C-suite for their development needs. Furthermore, AMD provides a platform and channels for renowned scholars and management experts from around the world to interact with our fellows and members, as well as senior executives from business, education, health and public sectors. In the process, state of the art knowledge and innovative ideas that are relevant to the economic development of Hong Kong and the Region are imparted and generated. Copyright @ Institute of Advanced Management Development (AMD). All rights reserved.